So you finally have your dental implants and your final teeth are in place and now you’re ready to bite into crisp apples and smile bigger than ever before. Now before you go riding off into the sunset with your new pearly white(s), it’s very important you maintain these new teeth and implants. 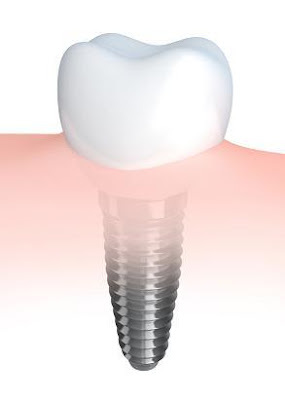 Although I mentioned in previous blogs that implants are not prone to the same problems we see with natural teeth such as fracture decay and in infections they do require maintenance. I have treated patients who lost their teeth due to long term neglect and lack of care…sometimes these same people still seem to forget to brush their teeth now that they have implants! Once an implant has integrated with the bone it is extremely solid…it feels much like a “nail in concrete”. Unfortunately bone is not concrete. If there is excessive stress on a dental implant physiologically the bone will be lost. This may create a periodontal (gum) pocket which in turn will then allow unhealthy bacteria to grow and colonize….this sets up a cascade of event whereby more bone can be lost, infection set in and the implant can eventually be lost. In some cases patients have had dental implants placed very successfully and have healed very well, only to find that when the teeth are to be made the implants cannot be used. In some cases it is because the implants are not in the right location or angle or the esthetics of the situation will not allow the implant to be useful. 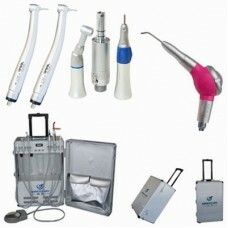 Why to choose this treatment dental?